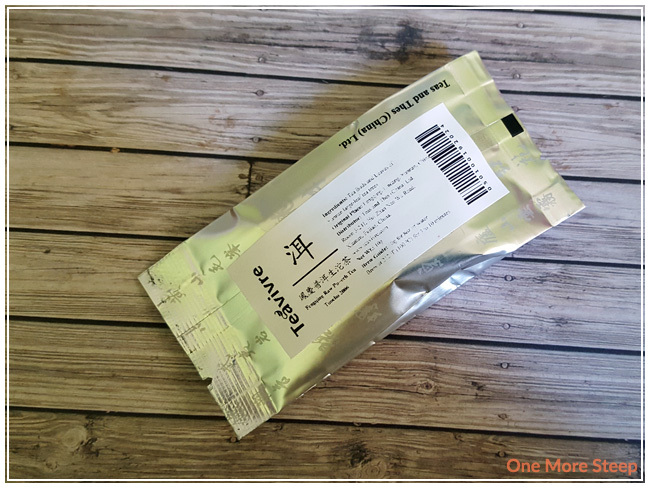 This is my first tea from Teavivre, so I’m not sure what to expect! The packet is simple, with a printed label that tells you all the information you need to know. 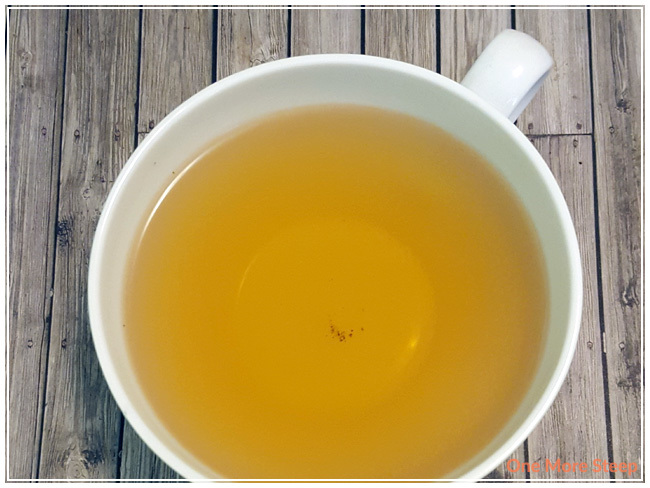 The ingredients are listed as being “tea buds and leaves of Yunnan large-leaf tea trees”. The sample packet contains 10gs of loose leaf tea. I poured out the 10g of tea into a small tea cup so I could take a look before steeping it. There’s this earthy, woody smell that reminds me a lot of pine trees. The dry leaves are a dark green, almost brown. As this tea is often sold in tea cakes, I could see several ‘chunks’ of tea leaves that are still pressed together. I’m curious about this raw pu-erh, which means that the tea was harvested and then stored. A ripe pu-erh means that the tea was harvested and allowed to ferment. 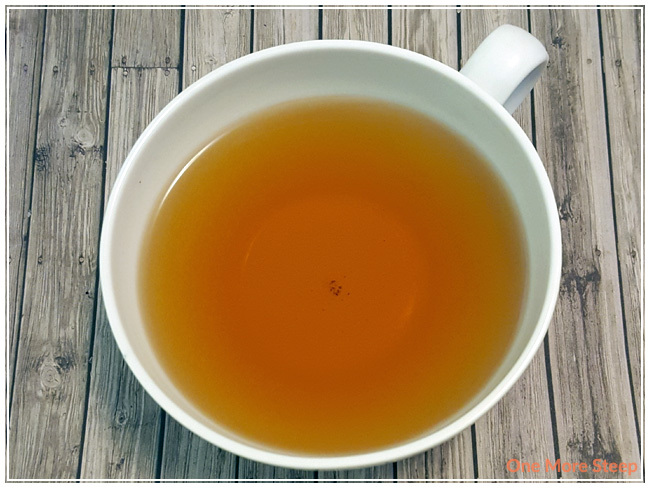 Teavivre recommend steeping Fengqing Raw Pu-Erh in 100°C (212°F) water for 3-10 minutes. I steeped this tea for about 4 to 5 minutes for the initial steep. It steeps to a golden brown, and it smells woody still. The taste itself is interesting, there’s some grassy, woody notes, and it does have some astringency to the tea. There’s some mild bitterness that isn’t unpleasant, although I can see other people having a problem with it. The astrigency isn’t off-putting, so I enjoyed the first cup immensely. Resteeping Fengqing Raw Pu-Erh is… interesting. It steeps much darker, and the astringency and bitterness is more pronounced. It is, quite literally, hard to swallow. I didn’t like Teavivre’s Fengqing Raw Pu-Erh 2006. The first cup was fantastic! But the second steeping was much too bitter for me. 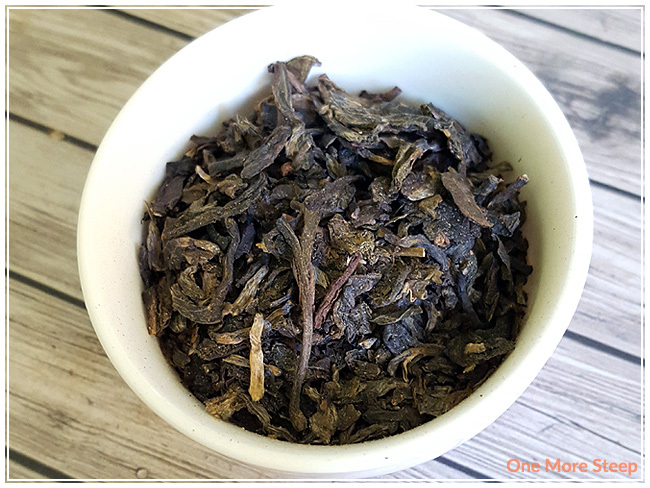 The mild bitterness in the first steeping was a fantastic and welcome layer of complexity to the flavours of the pu-erh tea, but it was overwhelming and made for a difficult cup of tea to drink. Hi Nicole! Thanks for your suggestions and tips! I’ve had ripen puerh teas before that were blissful and amazing, I definitely need to experience some more raw puerh teas. Hi. Michelle. I found your blog via Tea for me Please. I am a fan of raw puerh but not of ripe. The recommended steep time seems too long. I agree with Nicole, I’d try your next raw puerh gongfuing with a gaiwan.